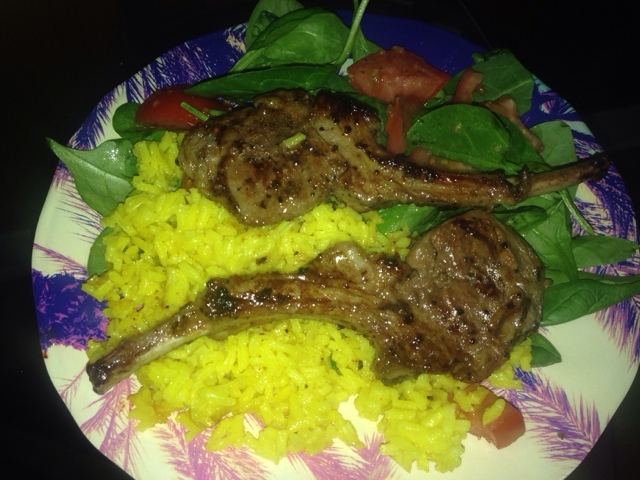 I haven't had lamb chops in a very long time, maybe in a year. Of course I had a taste for some tangy red meat, so I found a two pack for a low price. I seasoned them then pan fried them in olive oil, made some yellow spanish rice and a spinach/tomatoe salad. I must say, this was such a yummy meal, I have to make it again soon.